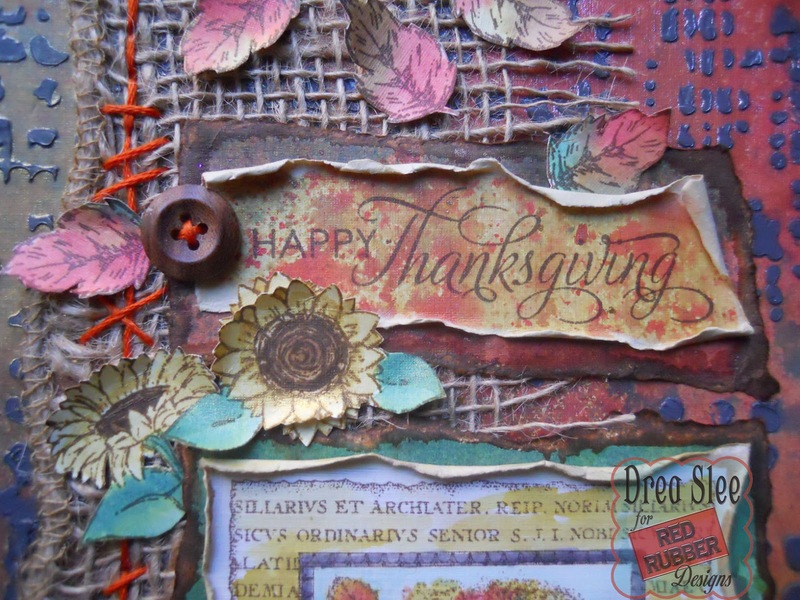 Thanksgiving Day is almost upon us, but there's still time to show your thanks and love with a hand-made card! 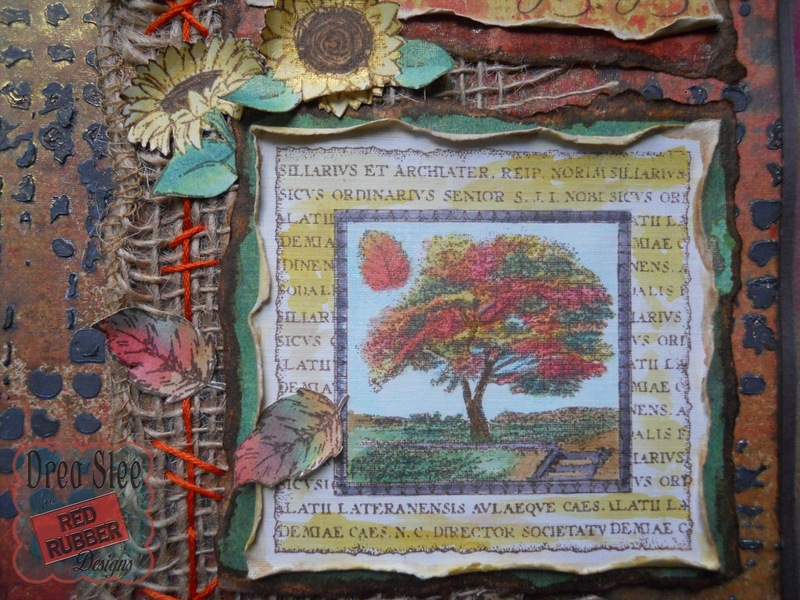 I made this one featuring the Arboretum Collage Cling Mounted Stamp, with some Sunflowers peeking out from Red Rubber Designs, along with a couple of other stamps. I started by mixing some black and white gesso, and applied it to my stencil to create a "rocky" background onto cream cardstock. 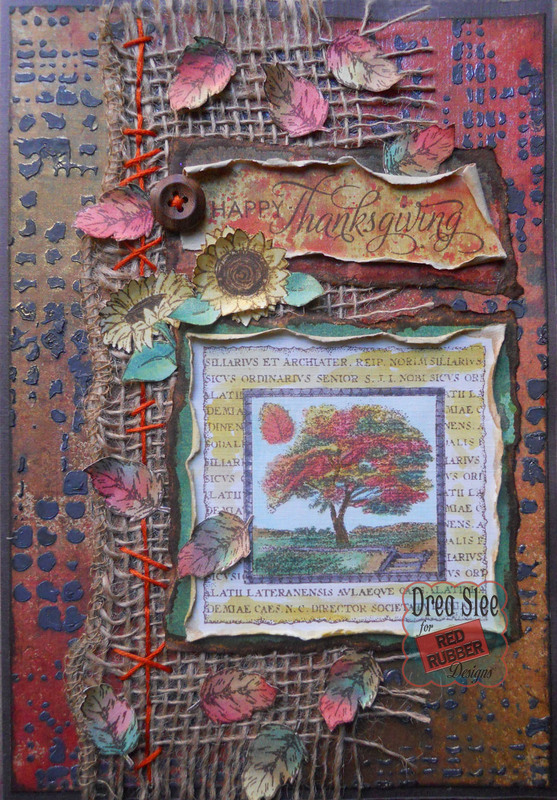 Once dry, I sprayed over it with some fall colors, which I also used to color all of my stamped images, giving them a metallic shimmer. The sentiment was stamped with the Contemporary Greetings Unmounted Rubber Stamp Set, which includes just about every holiday or occasion you would ever need. 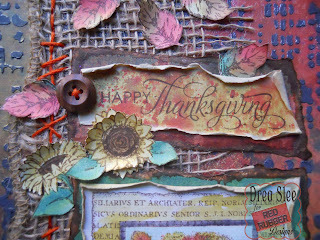 If you're a card maker it's a must, and I highly recommend it! 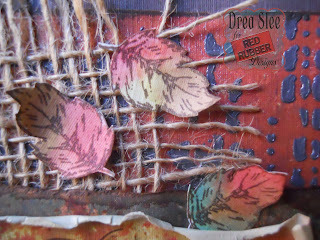 Over the background I added a strip of burlap with some hand-stitching along the side. Then I scattered some fussy-cut and curled leaves stamped with the Nothing Is Better Unmounted Rubber Stamp Set. Thanks for looking and stopping by!